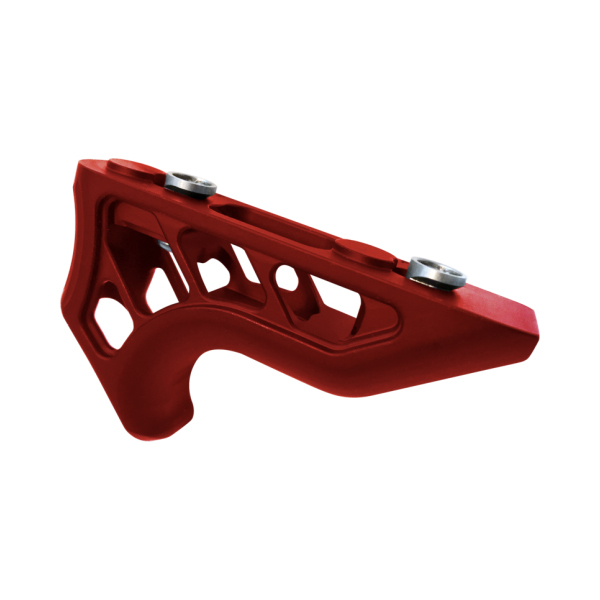 Timber Creek Outdoors Enforcer Mini Angled Foregrip will mount to any US manufactured Keymod system. Used as a hand stop when shooting with the thumb over/forward method, this angled foregrip allows you to control your muzzle when rapidly moving from target to target. CNC machined out of aircraft grade billet aluminum. Weighs under 1.5oz.